Becoming a teacher in Vermont is a great decision. As a teacher, you will have the ability to positively affect the lives of all your future students. Every state has unique requirements to becoming a teacher. The following steps will help you become a teacher in Vermont. The first question you must answer is what level you want to teach. Would you thrive in an elementary school environment? Perhaps you prefer a middle school or high school. Elementary school teachers teach multiple subjects at a basic level. Middle school or high school teachers usually teach a specific subject area to older children. The decision is yours. It is important to put some time into this decision so that you can be most effective in your future classroom. 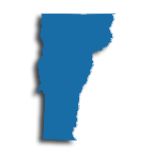 The Vermont Agency of Education provides information on the different school and districts in the state as well as information on current curriculum, students, and teachers. As with all states, the minimum education requirements to become licensed as a teacher in Vermont are to hold a Bachelor's Degree as well as the completion of a state-approved educator preparation program. It is quite common for individuals who decide from early on to become a teacher, to combine their Bachelor's Degree and educator preparation coursework. Most colleges and universities offer these blended or joint programs. Vermont programs approved for the preparation of educators are regularly structured on the combination of college coursework and fieldwork experience. The college courses that are part of an educator preparation program are usually comprised of classes on subject-based teaching methods, differentiated instructional strategies, multiple modes for assessment, classroom management, and integration of technology. The fieldwork aspect is largely a combination of classroom observations and student teaching or interning. Student teachers spend several weeks in a host classroom under the supervision of an experienced mentor teacher in order to prepare and implement lessons. Usually, individuals who know they want to become teachers from early on complete both Bachelor's Degree requirements and educator preparation program requirements simultaneously. However, if you have already earned a Bachelor's Degree in an unrelated field, you can complete a post-baccalaureate or alternative teacher preparation program. Many institutions of higher education also offer joint Master's Degree and preparation of educator programs. In Vermont, there are alternative routes to teacher licensure. Peer Review is an alternative route to licensure for individuals who have not completed a traditional educator preparation program at a college or university. Rather, these individuals acquire the knowledge and skills needed to meet the Core Teaching Standards through coursework and experiences. It is important to note that this route requires an individual to possess a Bachelor's Degree prior to getting accepted. The Peer Review Application Form can be completed if you are interested in this route. Vermont's Agency of Education asks that educators go through a Transcript Review process for Initial Licensure. This would allow educators to receive specific endorsements. In addition to initial licensure, the Transcript Review process gives the opportunity for teachers who are already licensed to add new endorsements for added areas of expertise. To apply, fill out the Application for Transcript Review. In order to become a licensed teacher in the state of Vermont, you will need to pass the required examinations. Vermont requires certified teachers to pass the CORE Academic Skills for Educators Test. This exam measures a candidates general skills in basic reading, writing, and mathematics. The Praxis II can be taken to show subject matter competency. This test must be specific to the area in which you want to teach. In addition to the subject assessments, the Praxis II covers principles of learning and teaching as well as teaching foundations. The test includes multiple choice questions along with a few essay responses. Once your license is granted, you will be ready to start your career as an educator in Vermont! The journey will prove to be rewarding and eventful. Good luck! The U.S. Department of Education has designated Vermont as having the following teacher shortages for the current year (2015): Library Media Specialist, English, Educational Technology Specialist, mathematics, Family and Consumer Sciences, music, health, physical education, languages, administration, and ESL. With this in mind, the state of Vermont has designated SchoolSpring.com as its database for employers and potential employees to connect. Under federal regulations, teachers able to teach any of the above subjects may qualify for federal forgiveness or deferment on school loans. When hired, teachers can join professional labor unions, namely the Vermont National Education Association (VTNEA) and the chapter affiliate of the National Education Association. Teachers contribute to the Vermont State Teachers' Retirement System (VSTRS) and can begin drawing their pension upon retirement. Please note that the amount of your monthly pension is dependent on a number of individual factors. Teachers who wish to pursue a career outside of the public system are welcome to apply to the state's private schools. Vermont's private schools have a great student to teacher ratio at 7 students to every teacher. The ration allows for dynamic teaching and learning opportunities. The table below lists the number of public school teachers in Vermont by grade level during the 2012-2013 school year. There are more than 110 private schools with an estimated 1,100 private school teachers in Vermont. The table below details the number of teachers by grade level during the 2011-2012 school year. The quality of teachers in the classroom is one of the biggest causative factors for improving student achievement. Fortunately, great teachers are made through ongoing professional development endeavors. Throughout a teacher's career, they have a variety of opportunities to increase and improve knowledge, skills, attitudes, and beliefs so that all students can excel to the best of their ability. Traits of effective professional development are that the offerings are intensive, with a direct connection to a teacher's day-to-day practice, student focused, and in accordance with school improvement strategies. The state of Vermont's Department of Education strives to engage teachers in standards-based professional development through a strategic approach under which every stakeholder is aligned for the success of the students that they directly or indirectly service. The state's goal is to create a statewide system to improve student success. One of the core components of the system is Vermont's database of Professional Learning Network (PLN) offerings for educators. The PLN is a collaborative effort between Champlain Valley Educator Development Center (CVEDC), Lamoille Area Professional Development Academy (LAPDA) and Southeast Vermont Learning Collaborative (SVLC). Teachers are encouraged to visit www.VermontPLN.org for more information. Although a master's degree isn't required to teach in Vermont, earning this advanced degree, either in education or in the field in which you hold your license endorsement, can be your ticket to career advancement, a pay raise, and personal and professional fulfillment. Plus, it's a great way to satisfy the professional learning requirements needed to maintain your professional educator's license. You'll be able to advance from your initial Level 1 Professional Educator's License to the Level II Professional Educator's License after three years of teaching if you meet a few requirements. It all comes down to getting a formal recommendation from your local/regional board. If you don't receive an official recommendation on your first renewal period, you'll be able to renew your Level 1 three-year license just once so you can attempt to gain a recommendation again within that three-year period. During this renewal period, you must re-apply for a Level II license and complete at least three academic credits (45 hours) in your endorsement area. Once you've earned a Level II Professional Educator's License, you'll need to maintain it by completing at least nine credits (135 hours - 45 of which must be specific to your endorsement area) every seven years. While there are a variety of ways to earn the required credits needed for renewal, work toward a master's degree specific to your area of endorsement and you'll be able to satisfy all of the required hours after completing just three courses. Learn more from the Vermont Agency of Education, Educator Quality Division about maintaining your Level II Professional Educator's License. 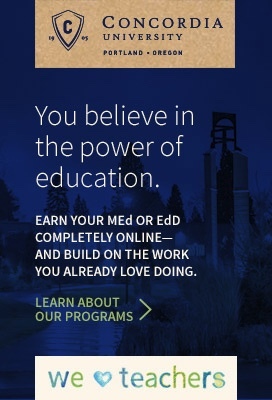 Earn your master's degree and you may also be eligible for a salary increase. For example, new teachers in the South Burlington School District earned a starting salary of $43,418 with a bachelor's degree in FY2017, while those with a master's degree earned a starting salary of $53,838, a difference of more than $10,000.